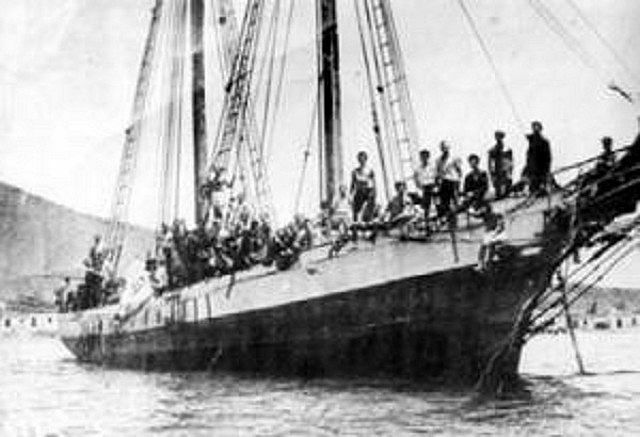 Here’s continuation of the history of emigration and historical connections between Tenerife and South America. To read initial post with the 1st part of the story, click here – Tenerife & South America Connections – Part 1. The first milestone of Dominican population policy was the foundation on the outskirts of Santo Domingo de San Carlos de Tenerife in 1684. Although at first they had difficulties, they were affected by the epidemics and had to change their location, they prospered as a center that supplied agricultural products to the capital. Since 1690, when 25 families were added to the population of the second city of the country, Santiago in the fertile northern valley of the Cibao, the Canarians were directed towards the border of the region and north of the country, supported by the government’s policy of serving as a brake on The French occupation and stimulated by the advantages of sales of cattle and tobacco in the French Santo Domingo. Cardinal axis of the expansion in the border region was the foundation with canary families of the town of Hincha in 1704. Years had taken place the one of Banica. He saw around him the dynamism of a region whose base of growth was precisely that exchange. Livestock demand became the biggest driver of its growth. It was joined in 1733 by San Juan de la Maguana with nearby hateros, neighbors of Azua and scattered islanders. Together with the population of Hincha, the valley of the Cibao begins. In the decade of the thirties it was of such caliber that its main city, Santiago, came to count on a company of island militias. This internal colonization favored the formation of a clear white or mulatto peasantry in areas of intense island dominance such as La Vega or Moca, the so-called monteros, rural symbols of Dominican nationality. From 1730 its economic takeoff is finally stimulated by the Crown which decides to invest large sums for colonization with people from Canary Islands of empty areas. Finances was a good part of the passages of the families, since another part is in charge of the shipowners, who dad to transport fifty tons for every thousand tons free from 1678 and the total cost of its installation. There was no longer an urgent migration to the unknown of emigrants without ties in the West Indies. You can see better possibilities for the future. Young families, uprooted women with children begin this adventure. Its axis will be Puerto Plata and Montecristi in the north and the Samaná Peninsula in the North East. The border area continued to grow with the reinforcement of Azua, the foundation of Neiba Las Caobas, Dajabon and San Rafael de la Angostura. In 1768, in the south of Bani, a genuine ethnic parenthesis in a predominantly mulatto-dominated south. Its extraordinary impact can be seen in its vertiginous growth between 1740 and 1760 that doubles its population, which goes from 25-30,000 inhabitants to 52-55,000, with a greater emphasis on the areas of Canarian colonization. The average number of members per family was 6.25. Its high birth rate explains that it reached 100,000 inhabitants in the early 1990s. The first location in Puerto Rico at the end of century XVII is River Piedras with 20 families from Tenerife transferred by Juan Fernandez Franco de Medina in exchange for the Government of the island. Between 1720 and 1730 were transferred by the Crown partly financed their transfer with payment of passage by the shipping 176 families with a total of 882 people. It brought about a radical change in insular demography of Puerto Rico. In 1729 reached 4,570 inhabitants and in 1750 14,027. They are distributed in the first arrivals by the present Humacao, but the initial establishment of 1722 fails. Larger projection reaches the settled ones by Loíza, Bayamón and the Toa. This growing concentration enables the foundation in 1745 of Toa Baja, followed in 1751 by the Alta. 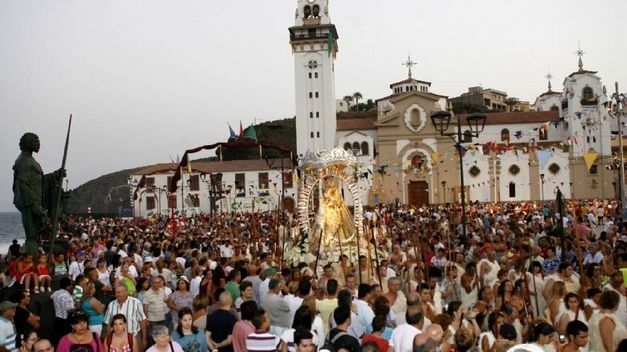 Both are decisive the colonizing participation of the Canarians to the point of being given the cult of the Candelaria and is realized, as it has survived until the present, the representation of the apparition of the Virgin to the primitive inhabitants of the islands. Another region in which its influence was notorious was that of the west coast of Puerto Rico from Aguada to Cabo Rojo. In 1729 by Mayagüez, Añasco and Rincon were also established. They founded a hermitage in Mayagüez to the Candelaria and another one in Rincón in honor to Santa Rosa. In Añasco, the old hermitage of San Antonio Abad became a parish. Although not led by government action, new groups settled. They were the most important factor in their extraordinary development. It almost triples in 1799, when it reaches 153,232 people. Of the 28 new settlements founded between 1714 and 1797, no less than 19 owe their origin to the colonizing effort of the children of the Canary Islands. 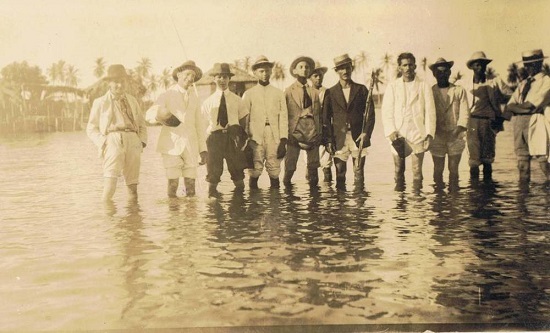 In the first half of the nineteenth century new contributions from the Canary Islands, which will give rise to new populations, such as Naguabo on the western slope of Puerto Rico, will demonstrate the role they played in the transition from slave labor to the wage laborer on an island where slave trade Never reached Cuban levels. From the third decade of the nineteenth century, the Canarians became pioneers of free labor in sugar cane, to such an extent that the dissemination of such a successful experience was forbidden. In 1740 the Crown decided to create the Company of Havana to promote trade between Cuba and the metropolis and forced to transport 50 families to Florida. In 1757, 375 people were transferred. In successive years until 1761 their number would reach 711. In 1763, as a consequence of the war with England, Florida passed to British hands. Most, though not all, of Canarians decided to move to Cuba, where they settled in the west of the island. The Crown since the late seventeenth century became interested in the colonization of Texas. Between 1724 and 1733 there were 137 families from Tenerife left with that destiny. But, when they arrived in Havana, they decided to settle in Cuba. The foundation of San Antonio was prosperous, however, with just 64 people in 1731. These were established as their oligarchy, channeling to their advantage the irrigation, which gave rise to conflicts with the missions established there. They supported both the independence of Mexico and the Republic of Texas, some of them dying in the defense of the Alamo against the Mexican troops. The Crown decides to populate Louisiana, occupied by the Spaniards since 1763. Between 1777 and 1783, years of acute crisis in Canary Islands, aggravated by the paralysis of trade as a result of the American Revolution, they embark with that objective on 4,000 people from Canary Islands arrived definitively to that North American territory and around 2,000 to Venezuela and Cuba. They constituted four populations that had a life plagued with difficulties. Only San Bernardo prospered, where they continued to maintain the Canarian culture and speech to this day and Valenzuela, where they were mixed with French. Most moved to West Florida and Baton Rouge, the capital of Louisiana, where part of the town continued with the name “Spanish Town” during the 19th century. Another destination of emigration from Tenerife and Canary Islands generally was Uruguay. The Río de la Plata had been a territory scarcely colonized by Spain. The Spanish obsession to avoid smuggling and the evasion of precious metals had led to their precarious settlement. But the Portuguese advance on Uruguay with the foundation of the colony of Sacramento in 1680 led the Spanish Crown to promote the emigration from Canary Islands as a way to fulfill the role of living frontier in front of the Portuguese expansion. The result of this policy would be the dispatch of two expeditions of 25 and 30 families from the Canary Islands which, together with a few from Buenos Aires, would give rise to the founding of Montevideo. Once again it was a question of reconciling the interests of the Canarian elites with the attainment of the possibility of freely trading with the Rio de la Plata, with the population policy of the Crown. Population in exchange for trade. But the misgivings and pressures led to the immediate paralysis of that exchange in 1729. I was more able to balance the fear of smuggling that this traffic would cause and the monopolistic interests of the bourgeoisie of Cadiz than the need to promote the colonization of an empty territory and Threatened as it was the Uruguayan, reason why since that year the expeditions ceased strictly and with them the Spanish population was seriously affected. The Canarian settlers formed a town hall in Montevideo But they were not benefited in proportion to their number in the distribution of land ownership. Peninsular or Buenosaireans monopolized large cattle estates and hampered the spread of small agricultural property. From the early years of the nineteenth century, a Santa Cruz merchant established in Arrecife, Francisco Aguilar, chartered an expedition of 200 people from Lanzarote island to Montevideo. With it began a period of intense emigration from Lanzarote and Fuerteventura islands to that destination, not interrupted by the warlike avatars that crossed the nascent Republic. An expatriation that was denounced by the terrible conditions of the crossing and the exploitation of the passengers that had some tragic consequences, as happened with the one realized by the brothers Morales in 1836. Blinded by the greed and the ignorance contracted more squares than they could fit in the ship, so that the food was lacking and came by hunger to eat human flesh. This emigration became, therefore, a lucrative business both for broad sectors of the dominant Canarian classes as for certain rich Uruguayans. These expeditions were monopolized by two powerful businessmen from Montevideo: Juan María Pérez and Samuel Fisher, who not only negotiated the transportation of settlers but owned their own lands to which they tied passengers to the debts of the passage or acquired them in advantageous concessions to the State to be used for colonization projects. A statistic of the time figures the Canary Islands immigration to Uruguay between 1835 and 1845 around the 8,200 people, which constituted 17% of all the immigrants and 65% of the Spaniards. It was an immigration that intensely transformed the interior of the country, with a preferential agricultural destination. With the outbreak of the Great War in Uruguay, the situation of the Canary Islands was aggravated. The exemption of the military service was suppressed and they were forced to enlist in the National Guard to those between the ages of 14 and 45 years. There were cases of children of 12 years of age who appeared in the first line of combat. Between 1877 and 1900 the emigration to Uruguay continued, but it did not have the relief of the previous stage. It is estimated at 5,749 the number of immigrants who remained permanently in the Eastern Republic. On the other hand, among the new arrivals stands out the critical year of 1878 in which arrived 2.951. The balances were negative as of that year with the crisis that affected the Rio de la Plata and the bankruptcy of the Banking Baring Brothers with heavy investments in the region. The Canarians contributed to the agrarian development of the country between 1830 and 1880. They cultivated land in the departments of Montevideo, San José, Maldonado and Colonia. In spite of this they were also occupied in urban jobs, such as commerce, or handicrafts, although the field was their fundamental activity. In a country where the cattle-ravine was all over, the islanders expanded agriculture. Such influence reached in the agrarian areas such as Canalones, Colonia, San José and Soria, that today the inhabitants of the first of the districts are still called Canarians and by extension they are denominated to those of the agricultural zone of the south of the country and the entire rural population. The cereals were their majority culture, activity in which they were trained the lanzaroteños and majoreros for being his essential activity. This specialization made the common voice the expression that the Uruguayans did not know how to plant, but to eat meat, and it was the islanders who leased the lands and began to grow wheat and corn. When the threshing was carried out by means of the collective work among the neighbors, a custom was born the company, born of the collective solidarity among the countrymen. This group inbreeding not only played an important role in the production, but in the marriages. The relations of coexistence and kinship between the Canarians allowed their survival, keeping alive the cultural and family ties over time in the rural areas of the country. In 1831 President Paez called Canarians exclusively to populate fertile Venezuelan fields as substitutes for slaves. A migratory flow of Canarian families was established especially in the 1940s. Their influence was so decisive that they played a crucial role in the Federal War in Venezuela. After the peace lived his golden age in the Government of Guzmán Blanco. The coffee boom and the Cuban war crisis favored it in a stage of serious depression in the Canary Islands after the cricket of the cochineal. The importance of this contingent was such that between 1874 and 1888 of the 20,827 registered immigrants 14,403 were islanders. In the last decade of the century, despite the coffee crisis since 1893, they continued to flee from military service for the war in Cuba. It will be the years in which Secundino Delgado publishes El Guanche. After the crisis of the vineyard in 1814 the migration focused only on Cuba and Puerto Rico, given the warlike conflict in Venezuela. There were years of intense migration in which Canarians are dedicated in the province of Havana to the internal supply or as major of the sugar plantations. They extend through the west and center of the island and to a lesser extent by the east, devoted essentially to the cultivation of tobacco. From the 1940s on, a process of gradual substitution of slave labor by agricultural wage laborers was witnessed. Government policy rejected white colonization. Within the framework of the Ten Years’ War (1868-1878), the Canarian emigration was considered by the Cuban autonomists and separatists as differentiated from the peninsular, which led them to oppose and enhance it. The usual formula for emigration was the contract. Complicity and fraud preside over the actions of the ruling Canarian classes. The definitive extinction of slavery was in 1886. It is estimated that between 50 and 60,000 the total number of island emigrants in the second half of the nineteenth century. The harvest of 1887 was the first that was made entirely with salaried workers. War conflicts prevented the flow of the desired Canary Islands despite the cochineal crash since 1875. The Canary emigration to Cuba after the independence and the economic revival that followed with the investment of American capitals, gave to the island experienced farmers in combining all type of agricultural works. It will be a migration with a high percentage of men and returnees, who invested their savings in Canary Islands, favoring the division of the great property especially in the highlands of the towns. The wage differences between the two sides and the well-being of the Cuban peso stimulated that return in a boom period in the islands with economic revival thanks to new export crops (bananas, tomatoes and potatoes). It intensified from 1910, and especially between 1915-20 by the serious consequences of World War I. Cuban economic well-being peaked in those years. But in 1921 an impressive landslide originated. There was some economic recovery between 1923-24, but the crash of 29 brought with it the definitive collapse of the migration. A part of the emigration was channeled towards tobacco in Pinar del Río and the central region of the island and another to the sugar cane in Oriente. About 30% stayed on the island, while the rest returned. These were mainly young men employed in the work of tobacco or sugarcane harvests, in the cultivation of fruit trees or in street vending. Those who remained were mostly tobacco growers or sugar cane planters who brought their families or married daughters from Canary Islands. In the vegas began as workers to the part of the profits. With their savings in times of prosperity they then bought properties, finally settled in them, as was characteristic of the area of ​​Sancti Spiritus where the low prices of hitherto hilly terrains favored the settlement of the population in that region, where the Canarian presence was Very numerous. The depopulation, because of the military service, especially in the high moments of the War of Morocco, was also another of its inducements. One of its characteristic features was the Canary association creating delegations of the Canary Islands Association all over the island. They gave rise to health centers and an important journalistic movement. A minority of these gave rise in the 20 to the creation of the Canary Nationalist Party and expressed themselves as “El Guanche”. The emigration to Venezuela returned to reactivate following the crash of 29, which closed the doors to the migration of Cuba. With the Spanish Civil War a serious period of crisis and autarky was on the islands, which would not leave until the sixties. But between 1936 and 1946 the migration was practically interrupted. It was limited to some political fugitives. But from the year 1948, before the serious difficulties that imposed the Francoist Spain to the migration with difficult and costly procedures, was born the phantom ships. In it the Canary Islands fishing fleet was destined to the transfer of clandestine immigrants in such sailboats. Between that year and 1952 it is estimated that about 8,000 crossed Atlantic. It was undoubtedly one of the most dramatic and epic episodes of the Canarian eagerness to take to the New Promised Arcade, in which ships with a maximum availability of 50 people came to transport 286. Such was the scandal and the repercussion it had on Venezuela that Pérez Jiménez pressured Franco to reduce immigration procedures on August 19, 1950. The era of open doors was born. It is estimated that between 1951 and 1958 more than 60,000 people left Canary Islands and arrived to Venezuela. With the fall of Perez Jimenez opens the one of the family reconstruction. Women become 60% of the emigrants. The last golden age of this migration will be the 1970s. The crisis of 73 in the Canary Islands and the last golden age of oil with its steady rise that allowed to triple the budget and nationalize it, led many immigrants, generally young, relatives of those already established to take root there. The contribution of the Canaries to the Venezuelan modernization was decisive in the field of agriculture. Sectors such as tomato, banana, onion or potatoes owe their active role to a great extent. Regions like those of Barquisimeto, Easter Valley, Orituco or Coro in Venezuela were reformed their agrarian structures with the opening of wells and the generalization of irrigation. But they were not just farmers, they also played a role in industry, commerce and the financial sector. In the wholesale distribution of agricultural products, its hegemony in markets such as Coche was clear. 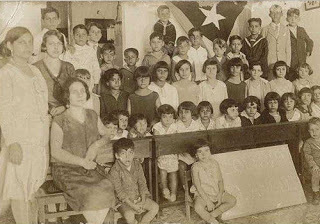 Nowadays we can observe the different situation and many people from Venezuela, Colombia, Cuba, Uruguay and Argentina with and without Canarian roots are moving to settle in Canary Islands. If you take a private tour to Anaga or a private Wine Tour in Tenerife with Tenerife Host, you will be able to see, experience and taste this nice mix of cultures. Not like most of tourists visiting Tenerife and spending whole holidays without living resort, that ravellers, who take private VIP tours with Tenerife Host can feel influence of South American culture in Tenerife and some of people say they feel Tenerife is a kind of mix between Spain and South America. And that’s truth, because there are very strong historical connections mainly between Tenerife and Venezuela, but also Colombia, Cuba, Argentina and other countries of South America. If you take a private tour in Tenerife with Tenerife Host, you can observe that South American influence in different parts of the island. And that’s the reason why we decided to highlight a bit the history of people movement between Canary Islands and South America. 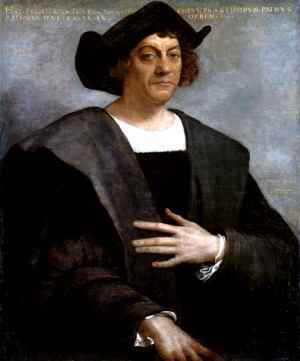 The conquest and colonization of Canary Islands runs more or less parallel to the discovery of America. The discovery and colonization of the Antilles by Columbus turned the Canary Islands into a privileged setting, in a kind of an experimental laboratory. Asian plants like sugarcane and banana trees were delivered from Canary Islands to the West Indies. Canarian technicians worked in the first mill of the New Continent in Santo Domingo. The African yam brought from Canary Islands will penetrate very soon in the Caribbean area. The same will happen with the pig, the goat, the dog and the sheep, which, led from the Canary Islands, will spread throughout the Antilles. The Canaries were, therefore, an intermediary in the diffusion of plants and animals on both sides of the ocean. The potato will acclimatize quickly and are known from very soon exports towards Europe. As early as 1567 they potatoes already sent to Flanders. That situation will transform the island’s agriculture, becoming the food par excellence of the lower classes of society. By its position and the action of the trade winds Canary Islands became the forced passage for the Indies. Canary Islands participated in the conquest of South America as expert guides. Between 1492 and 1506 at least 12 of the largest expeditions made the stops in Tenerife and La Gomera islands. Among them are the greatest names of the conquest, such as Columbus, Ojeda, Vespuccio, Pedrarias, La Cosa, Yáñez and Ovando. Canary had the privilege of trading with the West Indies since the beginning of the colonization of the New World. A Royal Order of 1511 simply specifies that Canarians can leave Canary Islands only with the authorization of the captain of the vessel, without any other kind of permits. Boat with Canarian emigrants arriving to Venezuela. In this way, Canary Islands and its residents become an integral part of expeditions of conquest and colonization, such as Pedro de Mendoza who founded Buenos Aires in 1535 or Pedro Fernandez de Lugo who with his conquest of Santa Marta in Colombia and many others. However we can not speak of Canarian emigration strictly, but it was a basis for the movement of Canarians to the New World without the strict controls of the Spanish Monopoly of Sevilla. In the sixteenth century Santo Domingo was first and Havana later were the main destinations of emigration from Canary Islands. A migratory movement of merchants and farmers slowly developed. From the year 1670 emigration from Canary Islands and especially Tenerife and La Gomera islands presents a massive familiar character. After a century and a half of growth there were symptoms of crisis. The lack of export of the white canary table wine, after the emancipation of Portugal in 1640, whose colonies were their preferred market, drags many Canarian families, particularly from Tenerife to Venezuela and Cuba. There was a kind of overpopulation in Canary Islands, so the Canary elite, accused of basing its privileged regime of trade with America in the smuggling of European products, begins to talk about bringing Canarian families to the empty territories of the Caribbean to avoid the loss of such trade. The occupation of Jamaica by England, the occupation of West of Santo Domingo by France, and that of the Guianas led the Crown to consider this alternative to avoid the occupation of part of Venezuela or the Greater Antilles. The Royal Decree of 1678 was agreed upon with the Crown, by which 50 families were to be transferred to such places by the shipping companies for every thousand tons of commerce in exchange for not paying the damage tax. However the goal was to obtain a privileged company that will never come. Until the Regulation of the Canary-American trade of 1718 the Crown does not assume the real costs of that transfer and foundation of new towns. That is why the promoters of such initiatives have been generally rich private Canarians in exchange for privileges, although a majority of the emigrants to Cuba and Venezuela have been doing so on their own account. Emigrants from Tenerife in Venezuela. The irruption of cocoa as the export product and the pacification and control of Los Llanos favor the definitive installation of canary families in the central region of Venezuela. In Caracas and La Guaira at the end of the seventeenth century an important colony began to be established. It is estimated that they represent more than 90% of marriages of white immigrants and 16% of the total, a number that is much greater, if one considers that the great majority married and had children before emigrating. Subsistence agriculture and livestock farming lead them to found villages in the highlands of the Caracas Valley such as Los Teques, Macarao, San Antonio de los Altos or La Vega. Fruit trees such as quince or peach and crops such as corn or cassava spread them everywhere. They spread the cult of Candelaria in every corner – visiting Tenerife, don’t miss Anaga Mountans & Jungle private VIP tour or even budget Anaga & Two Capitals bus sightseeing tour to visit Candelaria. But they not only contribute to agriculture, they constitute most of the store keepers and merchants. Its presence is located from the top with governors like Ponte and Hoyo or Bethencourt and Castro to mulats and slaves, of service or of plantation. Even in the fine arts you can speak of an authentic Canarian school that puts its stamp on sculpture, painting or casting in Venesuela. As the result of emigration whole villages of Tenerife like Buenavista, El Sauzal or Vilaflor became empty themselves. You can even find the same village names not only in the Valley of Caracas, in the Yaracuy they found San Felipe and they impel a cacao agriculture carried out mainly by free men. In Los Llanos they founded the spearhead for the colonization of San Carlos Cojedes, which later culminated with that of Calabozo, opening the way to external penetration, which will culminate in the second half of the XVIII. In Aragua they extend by La Victoria and Maracay. From San Sebastián de los Reyes they project towards Villa de Cura and San Juan de Los Morros. In Barlovento, the colonization of Curiepe and Panaquire began in the second half of the eighteenth century with the Guapo and Río Chico. The same is true in Barquisimeto and Guanare. In Maracaibo militiamen and families are displaced to colonize their interior. But it is only effective when a private entrepreneur undertakes with them the one of Perija. In the East they were taken to Cumana and Cumanacoa, but they remain there, because their interior colonization fails. Only the Concepcion del Pao is successful. The same thing happens with Upata, than to leave after being set afire by British attacks. Only in the second half of the eighteenth century can we speak of a more effective colonizing expansion. This boom, with the traffic with Mexico and smuggling as a spearhead, soon collides with the Crown that the Guipuzcoan Company creates to counteract it. The Canarians were struck by their control, which essentially harms small farmers. The rebellion exploded in 1741 in San Felipe Yaracuy and has its most striking expression in 1749 with that of the heir Juan Francisco de Leon. Its defeat is the most serious warning to the peasants who see closed their conversion into “hacendados”. Inner colonization was their only alternative. It is the time in which the emigration of men predominates in Los Llanos or Oriente to new lands like Chaguaramas, Ospino or San Jaime in Los Llanos or New Palencia or the Piragua in the East. The success of the interior colonization leads back to the end of the eighteenth century, on the eve of independence, to the rebirth of family emigration. Coffee is your incentive. Independence, an inescapable consequence of the emptiness of the Napoleonic invasion, was first and foremost a social war in which elite from Canary Islands and the simple people expressed themselves as Venezuelans, because they were Creoles for them. Although at first all social spectres supported it, its oligarchic character showed the disaffection of the lower classes who sympathized with the counterrevolution. But with the Llaneros under Paez, they returned to the cause of independence, like the whole of the Venezuelan lower classes. Canarian emigrants in Havana, Cuba. Canarian emigration to Cuba spread from the last third of the seventeenth century in the province of Havana and to a lesser extent in the central region of the island. Thanks to tobacco, they transform the island economy and mark the beginning of a stage of economic growth marked by exports. In 1693 with Canarian families Matanzas was born. The canaries were not dedicated exclusively to the cultivation of the tobacco, they explored small orchards to supply maloja (food for the cattle) or vegetables. A significant volume of small commerce was in their hands. The traffic with Canary Islands was the starting point for the formation of island mercantile elites that were integrated into the upper class of Cuban society. However, most struggle to gain access to land and to hinder the development of the landlord privileges of Cuban landowners, such as those of Bejucal in 1713 or Our Lady of the Rosary in 1731. An essential jolt in that struggle would be Santiago de Las Vegas, constituted in stately villa in 1775, after a long dispute. The Crown wanted to monopolize tobacco through the state monopoly. In 1717 the Estanco was established, against which the tobacco planters opposed with riots. The repression reached its peak in 1723 with more than 50 people killed. The emigration of people was predominant in the second half of the XVIII because of the greater difficulties of access to land and the lower profitability of tobacco cultivation. The liberalization of the slave trade in 1789 provided its massive introduction, favored by the rebellion of slaves in Haiti. This qualitative change coincides with a serious economic crisis in the Canary Islands. Although between 1783 and 1791 grew the number of tobacco planters, the situation changed radically. Those who cultivated the lands by census and by lease were obliged to leave them and to go to more distant areas like Pinar del Río, which will become the famous Vuelta Abajo, the tobacco center par excellence. The herds were transformed into plantations. The clash between hacendados and cultivators was evident in Güines and San Antonio de los Baños. A considerable part of the cultivators would be expelled from their lands, to be replaced by slave labor in the new sugar plantations. In the next articles we will continue the explanation how strong historical connection there is between Canary Islands and different parts of South America. Tenerife is famous of its wines and now we offer an interesting way to explore the island tasting local wines from all parts of the island. In fact wines from the North and South of Tenerife are quite different and along our Wine Tour Tenerife - Private VIP Tour you will have possibility to taste wines from whole the island. Moreover, our route leeds us through old historical towns, so you will discover more about the history, culture and traditions of the island. Tenerife is famous of its wines and now we offer an interesting way to explore the island tasting local wines from all parts of the island. In fact wines from the North and South of Tenerife are quite different and along our Wine Tour Tenerife – Private VIP Tour you will have possibility to taste wines from whole the island. Moreover, our route leeds us through old historical towns, so you will discover more about the history, culture and traditions of the island. Is it possible to combine private VIP sightseeing tour with hiking? This question is often asked by our Customers as well as the question, if it’s not too much walking and hiking along the tour. In fact, you ought basically understand the private VIP tour is the private VIP tour and that means you and nobody else define what we do along the tour. Your private guide can just suggest you the best options based on your wishes, but it’s you as the Customer decide what manner of the tour is, if you’d like to have longer stops in one places and shorter photo stops in another places. Along the private tour people sometimes decide to have a lunch or dinner, or have romantic sunset or even go to swim in the ocean in a far beach we pass during our way. Someone like to move less and observe astonishing landscapes and amazing island’s vies from the window of comfortable car and another traveler would like to walk in local towns or even have really hiking extension in a far less accessible parts of Tenerife. 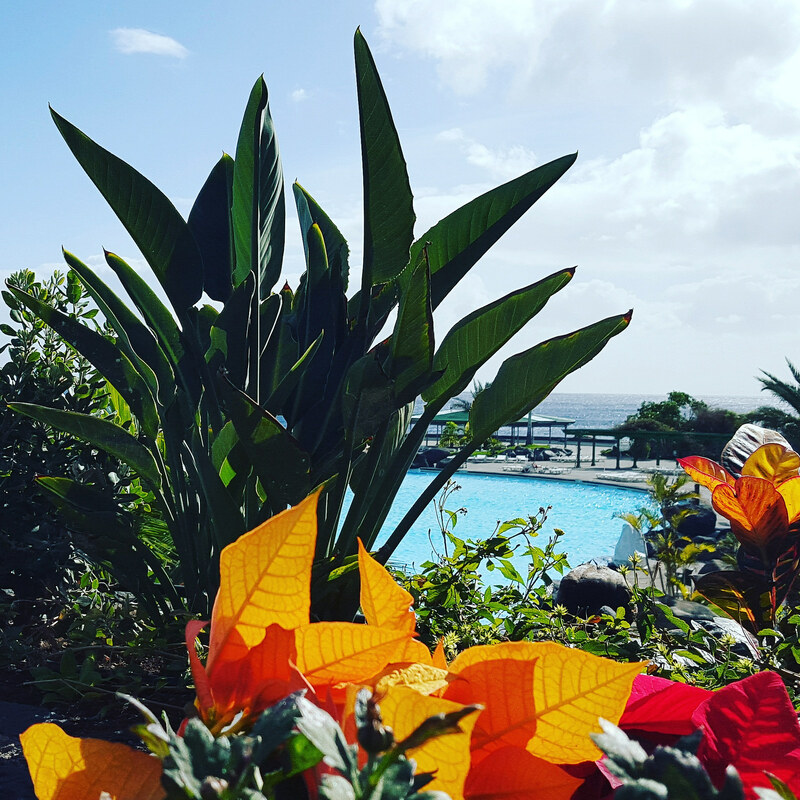 All that’s possible with Tenerife Host, because we are always flexible and wish every Customer to be happy. That’s why we also offer specialized hiking, trekking and walking tours, both regular and private for those who’d like to be even closer with the island’s nature, culture and atmosphere. In our history we’ve made a lot of different combination and outstanding private tours and it because we are always happy to customize everything to your special needs and wishes. So, if you have these special needs, wishes or ideas, you are always welcome to consult it with us before placing order or even along the tour with your private guide. In most of cases every wish or idea could be realized, except of the case, if you came with a cruise ship to the harbour in Santa Cruz de Tenerife and have fixed ship’s departure time – this is the hardest case, because we should be on time back to the ship and people often even don’t understand how big the island is. To understand the size of the island you can imagine – it will take you about 7 hours of pure non-stop driving to go around whole the island. And then imagine, there’s also traffic along the coast, there are photo stops, in some places you stay a bit longer, want to enjoy local foods. In short, it’s simply impossible to see whole the island with a kind of shore tour which starts and ends by cruise ship. BUT, it IS possible in all other cases, if you are staying on the island longer than a single day. Well, even one day will be enough, but it will be long-long day full of new experiences and emotions, if you will take the tour around the island’s coastline or even Grand Tour around Tenerife including Teide. The island of Tenerife with hundreds years of wine production traditions is an ideal destination to discover local wines in different corners of Tenerife. Actually Tenerife Host preparing our VIP Wine Tour schedule and details to put the tour to our VIP private tours offer and make the tour available both for tourists living in the island resorts as well as for travellers coming with cruise ships to Santa Cruz de Tenerife. 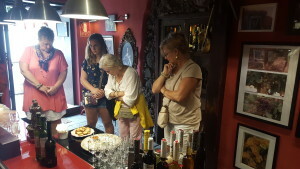 During the tour we will visit both vineyards and wine houses, museums of local wines, having at least 3 different wine degustations and a lunch tasting local island's dishes in a incredibly beautiful place with a scenic views of the island of Tenerife. Tenerife Host plans to make our new VIP Private Wine Tour in Tenerife available to book starting from December 2016. To book the VIP Private Wine Tour in Tenerife, please, use the contact form at Tenerife Host official website. The island of Tenerife with hundreds years of wine production traditions is an ideal destination to discover local wines in different corners of Tenerife. Actually Tenerife Host preparing our VIP Wine Tour schedule and details to put the tour to our VIP private tours offer and make the tour available both for tourists living in the island resorts as well as for travellers coming with cruise ships to Santa Cruz de Tenerife. During the tour we will visit both vineyards and wine houses, museums of local wines, having at least 3 different wine degustations and a lunch tasting local island’s dishes in a incredibly beautiful place with a scenic views of the island of Tenerife. Tenerife Host plans to make our new VIP Private Wine Tour in Tenerife available to book starting from December 2016. To book the VIP Private Wine Tour in Tenerife, please, use the contact form at Tenerife Host official website. Very often travellers making a mistake choosing a wrong restaurant traveling in Tenerife. As the tour organizer and private tours guide I can suggest to follow a few basic rules to avoid mistake and to have a really good meal in Tenerife: Avoid ANY restaurant in the Teide National Park and Masca village. These places are extremely popular among tourists and usually a restaurant see a customer just once, so as the consequence the quality of food and the service level is rather low, if not extremely low. And overpriced. Look where local people are eating. If there are mainly local people in a restaurant, it is a kind of guarantee the food is tasty, prices are okay. Generally (but not always) try to avoid restaurants right on the first line by the beach. If you follow these rules, it is sure, you will enjoy tasty meal for a reasonable price and will keep a good memories about the island. Avoid ANY restaurant in the Teide National Park and Masca village. These places are extremely popular among tourists and usually a restaurant see a customer just once, so as the consequence the quality of food and the service level is rather low, if not extremely low. And overpriced. Look where local people are eating. If there are mainly local people in a restaurant, it is a kind of guarantee the food is tasty, prices are okay. Generally (but not always) try to avoid restaurants right on the first line by the beach. If you follow these rules, it is sure, you will enjoy tasty meal for a reasonable price and will keep a good memories about the island. Tenerife Host offers private shore excursions by coach for groups from cruise ships in Santa Cruz de Tenerife. This is better alternative for standard bus tours, if you have a group of friends or families and wish to go in a private group from 8 to 70 people. That means you will get the bus and one of our best guides exclusively for your group, no matter what's the size of the group. Generally you can choose a 6 hour long private sightseeing tour to the heart of the island of Tenerife - Teide Volcano and National Park. If you are interested to see how different the island is on every part, we'll recommend you to do 8 hour long private sightseeing tour - shore excursion to visit not just volacano and Teide National Park, but also Masca village, hidden in the beautiful Teno Mountains; Garachico - cozy town which was first capital and the most important trade harbour of Tenerife three centuries ago until it was destroyed by huge volcano eruption; the historical center of Icod de Los Vinos - the town where you will see the oldest Dragon Tree in the world. This private shore excursion by coach for groups from cruise ships in Santa Cruz de Tenerife is a perfect mix of nature and history of the island. 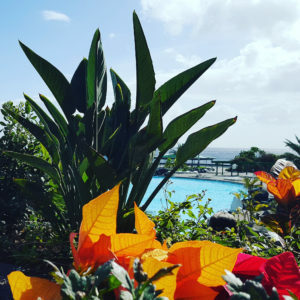 If you have your own ideas about the places you wish to visit and things to do during your day stop in Tenerife, we can plan the individual tour especially for your group. To book your private shore excursions by coach for a group from cruise ships in Santa Cruz de Tenerife, please, send us your Booking Message with dated, times and group details. 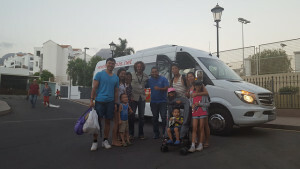 Tenerife Host offers private shore excursions by coach for groups from cruise ships in Santa Cruz de Tenerife. This is better alternative for standard bus tours, if you have a group of friends or families and wish to go in a private group from 8 to 70 people. That means you will get the bus and one of our best guides exclusively for your group, no matter what’s the size of the group. Generally you can choose a 6 hour long private sightseeing tour to the heart of the island of Tenerife – Teide Volcano and National Park. If you are interested to see how different the island is on every part, we’ll recommend you to do 8 hour long private sightseeing tour – shore excursion to visit not just volacano and Teide National Park, but also Masca village, hidden in the beautiful Teno Mountains; Garachico – cozy town which was first capital and the most important trade harbour of Tenerife three centuries ago until it was destroyed by huge volcano eruption; the historical center of Icod de Los Vinos – the town where you will see the oldest Dragon Tree in the world. This private shore excursion by coach for groups from cruise ships in Santa Cruz de Tenerife is a perfect mix of nature and history of the island. If you have your own ideas about the places you wish to visit and things to do during your day stop in Tenerife, we can plan the individual tour especially for your group. To book your private shore excursions by coach for a group from cruise ships in Santa Cruz de Tenerife, please, send us your Booking Message with dated, times and group details. If you are looking for a romantic and beautiful VIP private tour in Tenerife, Tenerife Host recommend you the private Sunset Tour with possibility to extend for a Stargazing by the foot of the Teide Volcano. We will pick you up by limousine (if 1-4 people in your group) or by mini-bus (if 4 to 7 people) and we will go all the way upward to the heart of the island on altitude over 2000m. By the way we will visit Vilaflor – the highest village in Spain, we will crose all the Teide National Park, doing stops in the most spectacular points and finally we will reach a very special point to observe probably the most beautiful sunset you ever saw in your life. 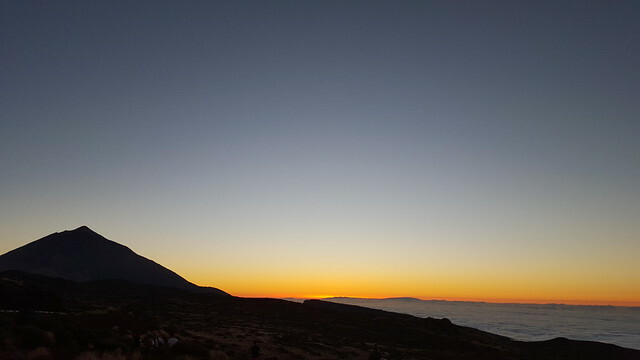 After the sunset optionally we can extend the tour for Stargazing what’s the next amazing experience since the Teide is one of just a few places in the world where you can see so magically starry skies. To book the tour, send us your Booking Message through our official website.